Your child's teacher is one in a million. Give Personalized Teacher Gifts that looks like you spent a million by giving a Personalized Teacher License Plate. 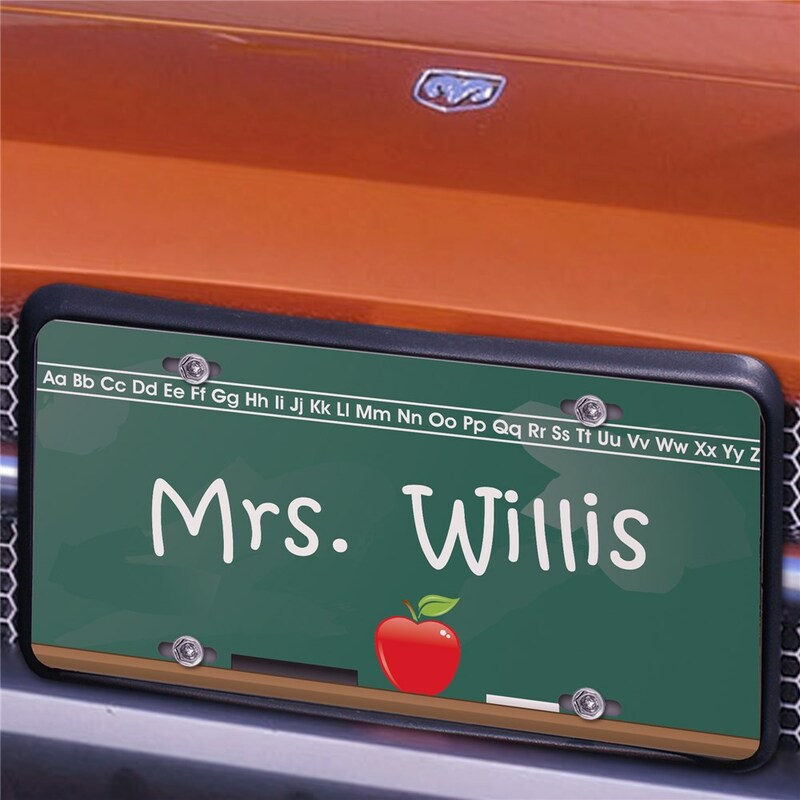 This Personalized Teacher License Plate looks great as a classroom decoration or on the front of the car. Personalize your teacher appreciation license plate with any name. Buy Personalized Gifts For Teachers Today! Perfect item for my wife teacher. Nice. It's exactly what I expected.